LinuxONE is a portfolio of hardware, software, and solutions for an enterprise-grade Linux environment. It has been designed to run more transactions faster and with more security and reliability specifically for the open community. It fully embraces open source-based technology. Two servers are available for LinuxONE: The LinuxONE Emperor and Rockhopper. Aside from still running SUSE Linux Enterprise Server and Red Hat Enterprise Linux Servers, LinuxONE runs Ubuntu, which is popular on x86 hardware. Ubuntu, which runs the cloud, smartphones, a computer that can remote control a planetary rover for NASA, many market-leading companies, and the Internet of Things, is now available on IBM LinuxONE servers. Together, these two technology communities deliver the perfect environment for cloud and DevOps. Ubuntu 16.04 on LinuxONE offers developers, enterprises, and Cloud Service Providers a scalable and secure platform for next generation applications that include OpenStack, KVM, Docker, and JuJu. This IBM Redbooks® publication provides a technical planning reference for IT organizations that are considering a migration from their x86 distributed servers to LinuxONE. This book walks you through some of the important considerations and planning issues that you might encounter during a migration project. 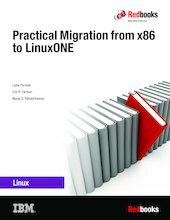 Within the context of a pre-existing UNIX based or x86 environment, it presents an end-to-end view of the technical challenges and methods necessary to complete a successful migration to LinuxONE.